Bridget joined the award-winning Sheahan Group in 2008. Together with her team members, she is responsible for over 925 million dollars in sales, placing her team in the top 1% of agents according to the Chicago Association of Realtors. In 2013 and 2014 her team ranked amongst the top 10 brokers in the Chicagoland area. In 2015, The Sheahan Group was voted "Best Team" by Chicago Agent Magazine. Her individual awards include, 2011, 2012, 2013, 2014, 2015 & 2016 Five Star Professional Award. These accolades and accomplishments are evidence of Bridget’s passion for the real estate profession. Since the start of her sales career at CONLON, advocating on behalf of her clients has been what she considers, “the best part of my job”. CONLON has since joined forces with Compass Real Estate. She prides herself on making sure that each sale is the right one for the individual or family she is working on behalf of. Her unique knowledge of the industry, individual markets, and real estate values are a result of the many positions she has had throughout her career in the real estate industry. 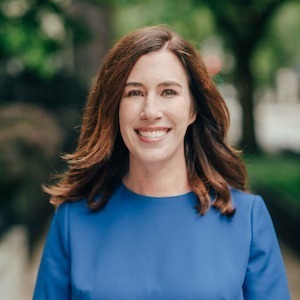 After graduating from the University of Illinois, Bridget began her career at O’Flaherty Builders, eventually working her way up to Chief Financial Officer for the Chicago based real estate developer. Her responsibilities along the way included; marketing, land acquisition, design, accounting, property management, and project management. Learning all these roles have given her intimate insight into all facets of a real estate deal. With this knowledge, Bridget joined the Sheahan Group and specializes in the purchase and sale of real estate on the Northside of Chicago. Bridget represents a myriad of the luxury real estate in the most exclusive neighborhoods in Chicago. In addition to sellers and buyers, she works very closely developers on land acquisition, design, cost, marketing and final sales. Her properties have been featured in Crain’s, Chicago Tribune, Chicago Real Estate Daily, Wall Street Journal, Michigan Avenue Magazine and Chicago Agent Magazine. Bridget’s geographic areas of expertise include, but are not limited to North Center, Roscoe Village, Lakeview, Lincoln Park, Lincoln Square, Bucktown, Wicker Park, Old Town, River North and Gold Coast.